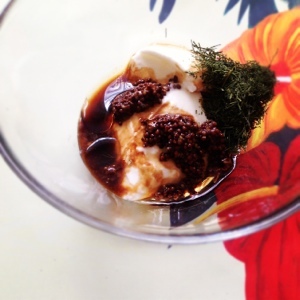 Mustard, yogurt, dill and soy sauce. Whenever I run out of food and I am at home, I take out a piece of salmon from the freezer (or buy one, usually from Superstore). All I have to do is prepare a good marinade, throw the salmon in the oven, and make sure I don’t over cook it. I like this marinade because it brings together three flavors: mustard, yogurt and dill. 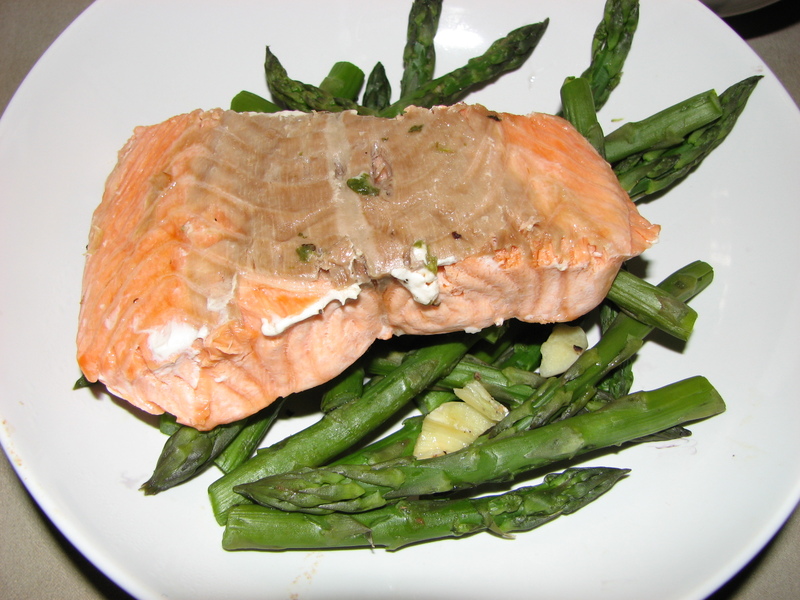 Salmon is one of the most common types of fish available in Calgary. Here’s an easy and very tasty way of cooking it. I’ve got the recipe from the World Healthies Foods, so if you want more ingredients or more precise instructions, check them out. I had the fish today, with the Moroccan-Style Carrots as a side dish, and it was just amazing!